^ Torvalds, Linus. Linux 5.1-rc5. LKML (邮件列表). 2019-04-14 [2019-04-14]. ^ Top500 OS chart. Top500.org. [2010-10-31]. （原始内容存档于2012-03-05）. ^ Origins and History of Unix, 1969-1995. [2013-02-20] （英语）. ^ Torvalds, Linus. Release notes for Linux v0.12. Linux Kernel Archives. 1992-01-05 [2007-07-23]. The Linux copyright will change: I've had a couple of requests to make it compatible with the GNU copyleft, removing the “you may not distribute it for money” condition. I agree. I propose that the copyright be changed so that it confirms to GNU ─ pending approval of the persons who have helped write code. I assume this is going to be no problem for anybody: If you have grievances ("I wrote that code assuming the copyright would stay the same"）mail me. Otherwise The GNU copyleft takes effect since the first of February. If you do not know the gist of the GNU copyright ─ read it. ^ The Linux Foundation; Staff. [2011-11-10]. （原始内容存档于2009-04-19）. ^ Schrecker, Michael. Turn on Web Interactivity with LAMP. [2007-02-22]. （原始内容存档于2006-12-31）. ^ Beer, Stan. Vista to play second fiddle to XP until 2009: Gartner. iTWire (iTWire). 2007-01-23 [2007-11-19]. （原始内容存档于2008-12-03）. ^ Vista slowly continues its growth; Linux more aggressive than Mac OS during the summer. XiTiMonitor (AT Internet/XiTi.com). 2007-09-24 [2007-11-19]. （原始内容存档于2007-11-13）. ^ Magalh?es equipped with Linux Caixa Mágica. （原始内容存档于2011-01-21）. ^ Oferta CM no programa e-Escolas surpreende o mercado. （原始内容存档于2008-06-01）. ^ TOP500.org. Operating system Family share for 11/2010. Top500.org. [2011-01-16]. （原始内容存档于2010-11-17）. ^ TOP500 Press Release: Lawrence Livermore’s Sequoia Supercomputer Towers above the Rest in Latest TOP500 List. TOP500. 2012-07-14. （原始内容存档于2012-06-24）. ^ Firefox OS architecture. Mozilla Developer Network. Mozilla. [2014-06-13]. （原始内容存档于2014-06-04）. ^ 疑点解析：Linux系统下的病毒少是为何？. 2008-09-12 [2013-07-02]. （原始内容存档于2013年11月2日） （中文（简体）‎）. 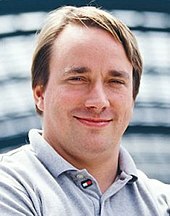 Gedda, R. Linux breaks desktop barrier in 2004: Torvalds. 2004 [2004-01-16]. （原始内容存档于2005-04-07）.